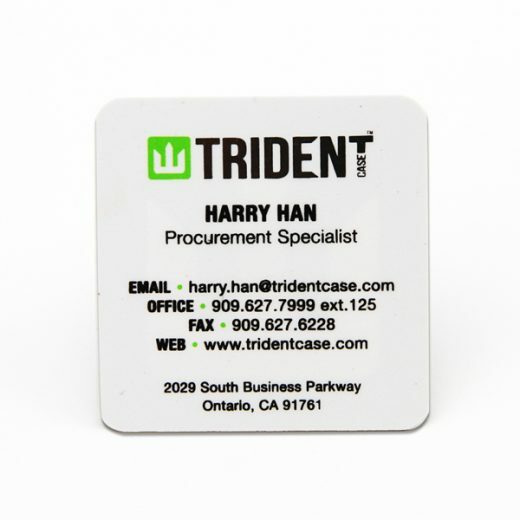 Artwork Options: 4 color offset printing, magnetic stripe, embossing number, signature panel, photo, barcode, hot stamping, gold / silver color, scratch-off, series number, hole punching, spot UV printing, hologram,stress chip, etc. Applications Range: Marketing;Education;Company advertisement promotion;Product’s promotion gift;etc..
Any time or any where you can test your stress level in just 5 seconds. 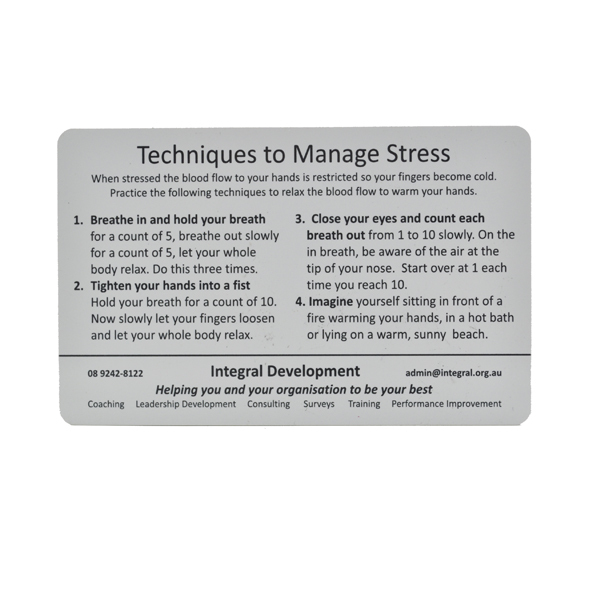 The plastic stress mood card are great handout to inexpensively teach students, employees, and the general public. 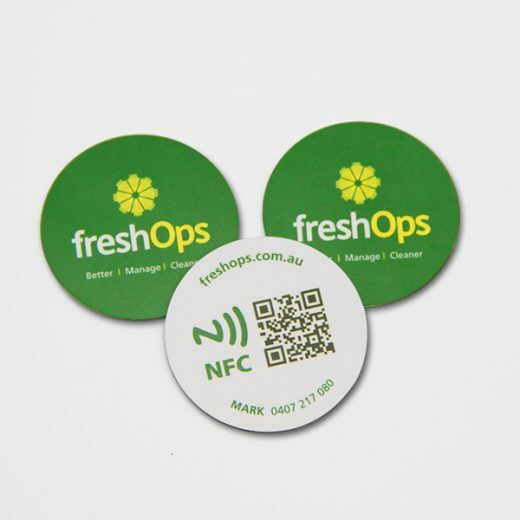 Use at Health Fairs, Wellness Fairs and other public events. Catching stress before it builds into a headache or stomach ache or other health problem is a great life skill. With this test, you can check what your stress level is by monitoring your hand temperature. No special instrument or measurement device needed. It has a spot where you place your thumb, and the spot will changes color to indicate your level of stress–blue is relaxed, green is calm, orange is tense, black (the starting color) is stressed. This is a simple test of your stress level. Not all stress or tension is bad. If just help you for testing ,but not cure. Q1. 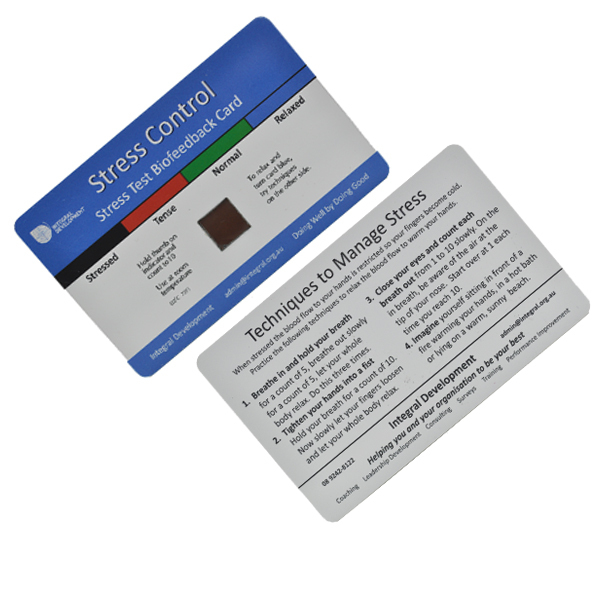 Can I have the plastic stress mood card for Free Samples or small qty order, what’s your MOQ? Q2. 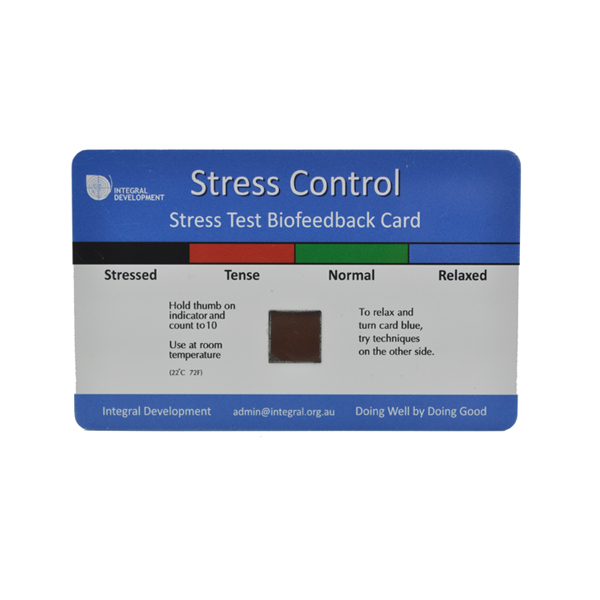 How to proceed an order for plastic stress mood card? Q5. How do you ship the plastic stress mood card and how long does it take to arrive?